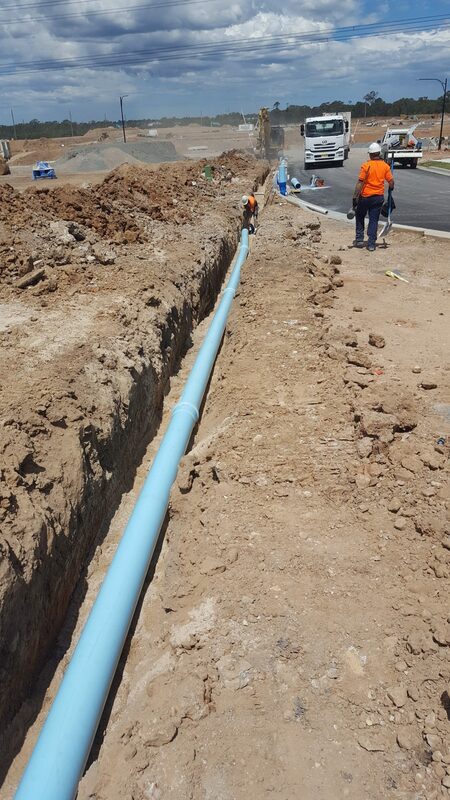 When it comes to laying sewer carriers and sewer pipelines Jonishan can handle even the most complex of projects. 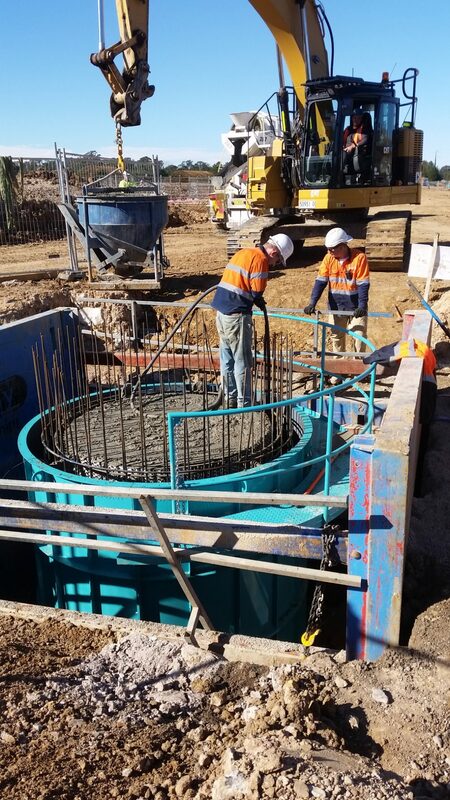 Our ability to construct maintenance holes and vent shafts using our own fully qualified pit builders, means Jonishan can complete the wastewater installations without the need to involve other contractors. This saves both time and money for our clients. 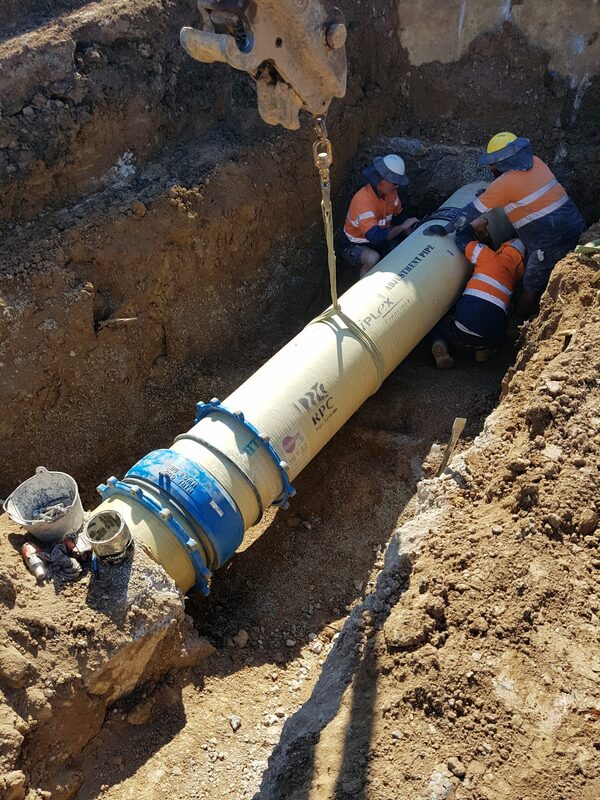 Jonishan’s Sydney Water accredited capabilities include S1, S2 (Sewerage Reticulation DN 150 – 750), PE (PE Pipe Systems) and LP (Pressure Sewer Systems). Sewer pipe types include PVC, GRP, DICL, VC and Plastilined Concrete. 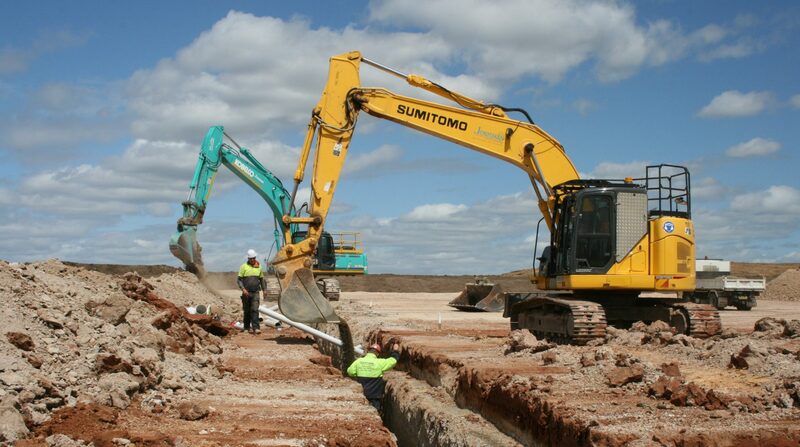 Our experienced operators and pipelayers specialise in deep excavation and are skilled at using the most appropriate trench support systems to suit the conditions. 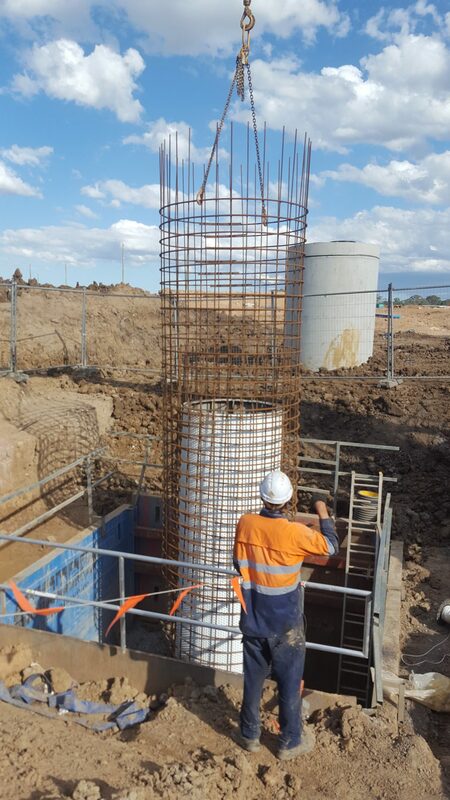 Crews can stabilise trenches using steel fixing, shoring and piling. 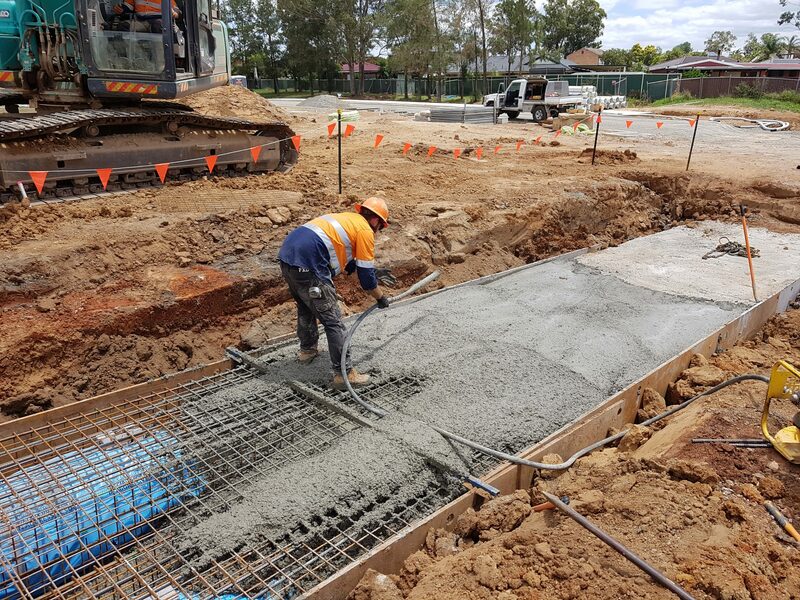 Each project is specifically planned to ensure the safety of those working on-site and reduce impacts on the surrounding environment. 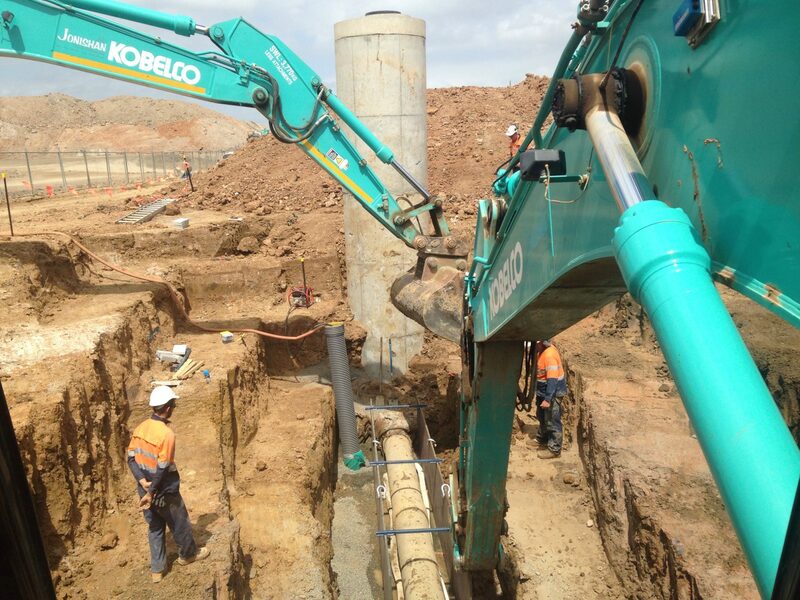 The installation of sewer pipelines requires working in hazardous confined spaces. 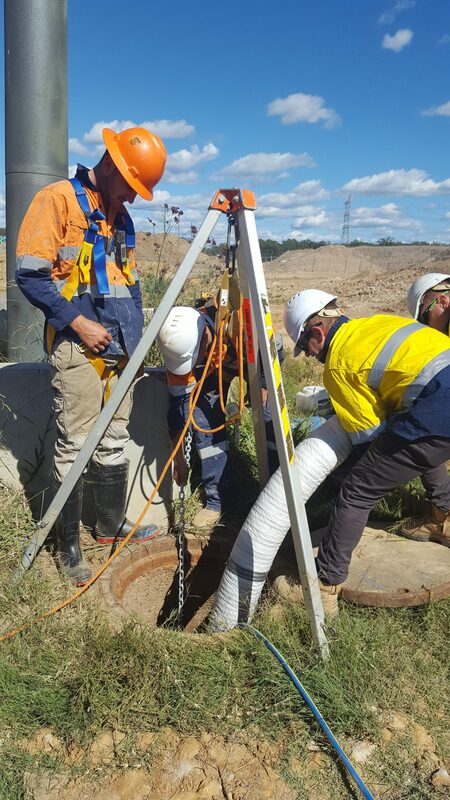 All Jonishan sewer crew members are trained and ticketed in Confined Spaces. The required equipment for entering the confined space and for all rescue procedures are tested and proven to be in perfect working order at all times. Our safety advisors work closely with the crews during confined space operations to ensure everyone’s safety.